Agfabric shade cloth are made of Lightweight, durable and premium quality high-density 100% UV resistant polyethylene. Protect plants can be used greenhouses or pets from overheating, protect swimming pool from leaf, create a comfortable shaded area for livestock housing, poultry buildings, barns, kennels and family. Water can go through the mesh, no need to remove the shade plant cover when watering. It can be DIY, but we may not recommend you make DIY if you do not have a sewing machine . Cause it needs edging and not easy to taped with grommets if without professional machines . It is easy to package. For length below 20', the shade cloth is usually in folded package. 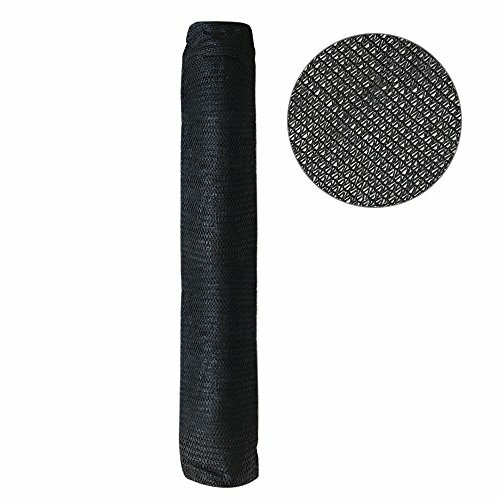 For length above 20', the shade cloth mostly will be packed in a roll.